The Talos is a planar and all being said and done it is still a fairly inefficient old school planar driver despite the modifications. You can get a modicum of volume with a standard smartphone or even a low-grade DAP but it will sound muted and fairly one dimensional and lacking in enjoyable dynamics. The Talos really needs some quality amping to sing, not HE6 levels of power, but certainly something that will drive enough juice to produce the accurate imaging, the better staging, and enhanced dynamics that it is capable of producing. If you have the moolah and want to stay relatively portable with the Talos I cannot recommend the Bakoon HPA-01M current mode analog amp highly enough. The pairing with the Talos was the best portable combination I tested, besting out the iBasso P5, Duet and even the Mojo for clarity and dynamics. The Bakoon makes listening to planars a special experience with a flatter, faster, and very controlled tonal presentation on current mode and a slightly warmer and bassier sound on voltage mode. Your only dilemma with the Bakoon is the source you will attach to the Bakoon and to be honest it can be any DAP with a quality line-out signal. Stand out favorites, for me, include the Paw Gold from Lotoo and the new Cayin i5 DAPs for their warm to neutral and very smooth tonal qualities as well as their excellent levels of detail. 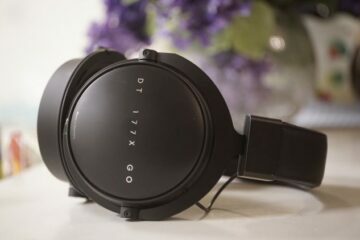 On their own, they do a pretty good job also with the Talos though to be fair the volume steps are considerably higher than the average headphone and even the newer generation of planars such as the Oppo PM3 or HE400s. The FiiO X7 with the AM3 balanced module only made sense in balanced mode with single ended requiring over 100 steps and pretty much in the final 20% of power sounding a little hollower than the i5. The AM5 reduced the power requirements and added a little bit more bass grunt and contrast than the smoother AM3 with the Talos. The FiiO X7 with the AM3 balanced module only made sense in balanced mode with single ended requiring over 100 steps and pretty much in the final 20% of power sounding a little hollower than the i5. The AM5 reduced the power requirements over the AM3 and added a little bit more bass grunt and contrast than the smoother AM3 with the Talos. If you are rocking an X7 the AM5 is going to be the only realistic choice if your jacking right out of an amp module. 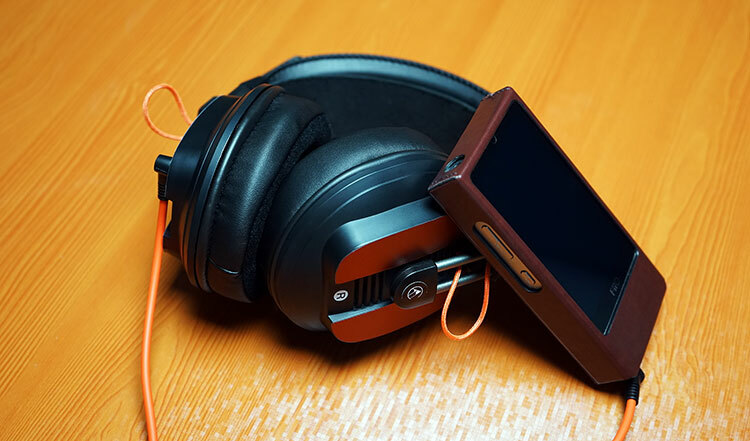 If you are rocking a desktop solution or working off a smartphone the Mojo might be a wiser choice for its flexibility to connect with both as well as produce superb levels of power, detail and tonality with plenty of different headphones and earphones. It does, of course, have that analog amp hook up limitation so connecting to the likes of the Bakoon will not work with this pairing but it is not a deal breaker with the Mojo more than capable of powering the Talos to decent levels. The Mojo takes a slightly different path to the Bakoon current mode amp in terms of presentation. Instead of injecting a little speed and neutrality into the Talos the Mojo instead offered a little bit more meat and depth into the bass performance. The Mojo has the impact with EDM over the Bakoon but it sounds a touch slower in return. It also sounds a touch warmer than the Bakoon. 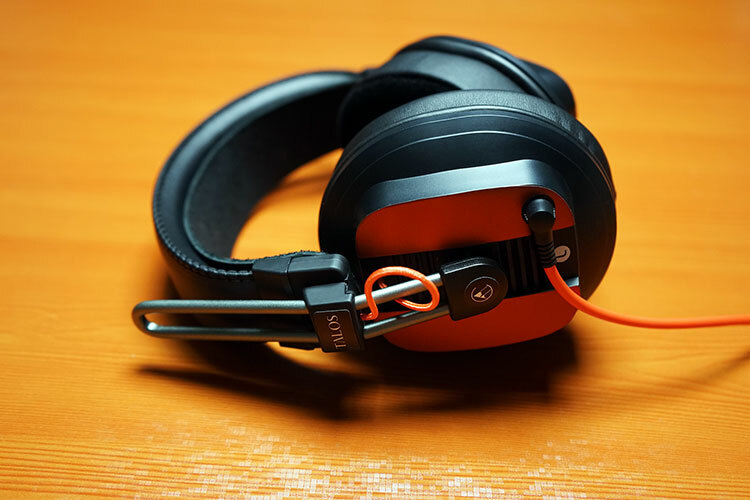 A modern efficient planar costing $150 more, the PM-3 is an on-ear smaller and lighter planar headphone than the Talos and also built from the ground up rather than modded from an existing headphone. Comfort is excellent and in comparison to the Talos seal might be slightly superior given the all leather cushion of the pads rather than the more porous nature of the hybrids pads of the Talos. It also folds flat and easier to take out and about than the bigger and bulkier Talos. Both have detachable long and short cables to use with portable or desktop amps. Efficiency wise the PM-3 is the one you want to grab if you are using a smartphone or your amping is not that great, the Talos needs more juice than the PM-3 to shine. 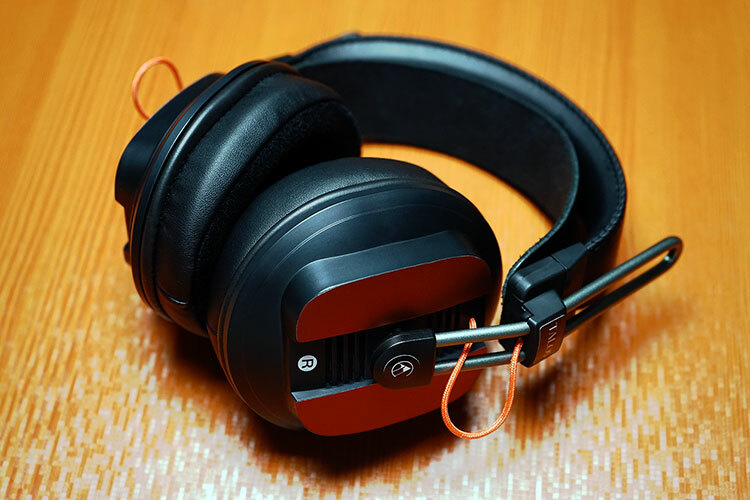 The T50RP, perhaps the most modded planar headphone in the history of modding. People have gone beyond modding now and created businesses behind them like ZMF, Enigma, and MrSpeakers. Dan’s team have gone from modest modding to “top of the line” planar headphones in around 3-4 years. 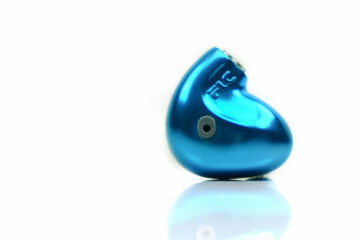 Some have preferred to stay at the indie level modding this most tuneable of planar drivers. This is an old driver and some claim to have reached the limits of what it can do and given up. This is an old driver and some claim to have reached the limits of what it can do and given up. Others merely feel some fresh thinking and ears is all that is required to bring something different sounding to the table. Most certainly the release of the MK3 of the T50RP last year has given fresh impetus to the modders and the recently launched Talos from Cascadia Audio is one such variant. Priced at $250 the Talos is attainable, affordable and, actually, it really sounds rather good indeed. So the Talos is a mod of the new T50RP MK3 and not the older MK2 which has been the staple diet of putty rollers for the last few years. What has changed in the MK3 first of all? Cosmetically it has a new softer padded headband, thinner pads with a grill cover, recessed drivers with foam covers and a brand new rear damping and filtering system. By all accounts, it was an upgrade of the old Mark 2 with Fostex listening to the modding community and adding some of that hobbyist changes into the MK3 and producing a better sounding T50RP. However it is not a fundamentally different sounding headphone, simply better at doing what it was doing before. Detectable changes included a meatier sound yet the bass extension was rather humble and abbreviated, to say the least. Trail off sub-100Hz is noticeable on the stock units. Treble though is perhaps a little perkier on the new MK3 than previous versions which may not sit well with sensitive ears. Fostex left a lot of room still for modders to pick apart the T50RP and offer something different. What Cascadia Audio are doing is basically going for musicality with the MK3 as well as increasing the levels of comfort with a series of physical mods that are designed to tweak the sound but not mess with the entire headphone in such a way that it is unrecognizable. This keeps the costs lower, the servicing more manageable but the net result is a V-shaped and musical tonal response in their Talos and a different direction to previous incarnations that I have heard to date of the T50RP mod. I actually think it is an excellent presentation that a lot of people will be very happy with. The outside of the Talos is pretty much an MK3 in all its glory with matching cup plate orange stickers on either side to compliment the new orange nylon sleeved wiring on the stock unit. Talos emblem stickers, now replace the Fostex logo at the base of the headband and the rest of the branding is lost under the orange face plate stickers. Cascadia has kept the new and improved MK3 headband design as well as the original cups, headband sliders and orange cabling from the stock unit. This is a mod more in keeping with the like of MrSpeakers Mad Dogs than say the Prime or the Alpha Dogs. It not a complete transformation of an original design with new connectors or 3D cups but there are some add-ons for additional comfort. The first is a more passive but welcome change and that is the additional leather strap under the main Fostex headband. The strap has a decent amount of elasticity, helps to distribute the pressure balance more evenly as well as add a relative increase in overall comfort during prolonged usage. The second is a more important change and that is the swapping out of the original thin pads of the MK3 for the plusher and deeper hybrid pads from the Brainwavz HM5. These pads remind me of the Focus pads from Hifiman with their velour interior and breathable leather exterior only they are slightly more refined than the sharper edged Focus pads. Typically velour is airier than leather but with a reduced seal meaning a little bit of leakage which you normally hear as a low in low-end response. All out deep leather pads can increase that low-end weight but usually, makes everything go a bit darker and recessed with more top end attenuation if matched with drivers not tuned to compensate the effects of the pads. Hybrids, in theory, bring the best of both worlds with a mix of both materials, call it a center path if you will. 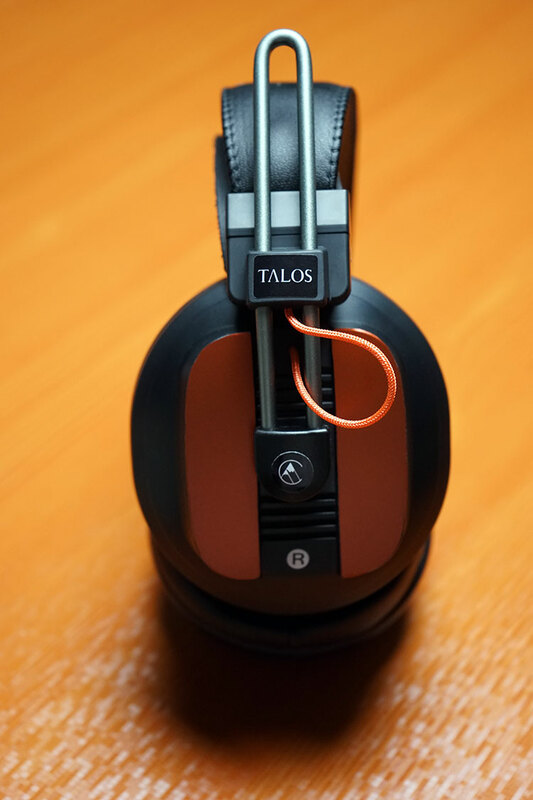 With the new headband and hybrid pads, the Talos is an incredibly comfortable headphone to wear. It’s still a fairly weighty 385g headphone given that it is pushing some durable but old school planar magnets inside those cups buts it real steady with excellent pressure distribution. Should you find the existing length too loose on the headband you can simply turn the screws locate don the inside of the band until things get suitably tight enough. The circumaural pads do an excellent job with supreme comfort on the level of Oppo and close to the Alpha series leather pads with only a marginal brush against the outer ear. Because of the hybrid nature though they are slightly more porous so a watertight closed seal is not possible to achieve and I would classify the noise leakage with these pads as semi-open in nature. Cascadia has not messed with the cables here nor the cable connector on the Talos. Supplied cables include a short 1m 3.5mm terminated right angle locking cable as well as a 3m desktop quarter jack terminated variant with the same locking mechanism. I do share the common belief that Fostex could have done without this locking system as it does cause some intermittency in sound if not in tight or gets a little wiggle during movement. The Talos, not having been modded, does suffer from that T50RP connector curse, though to be honest, more so with the portable cable and very little if any with the longer cable. 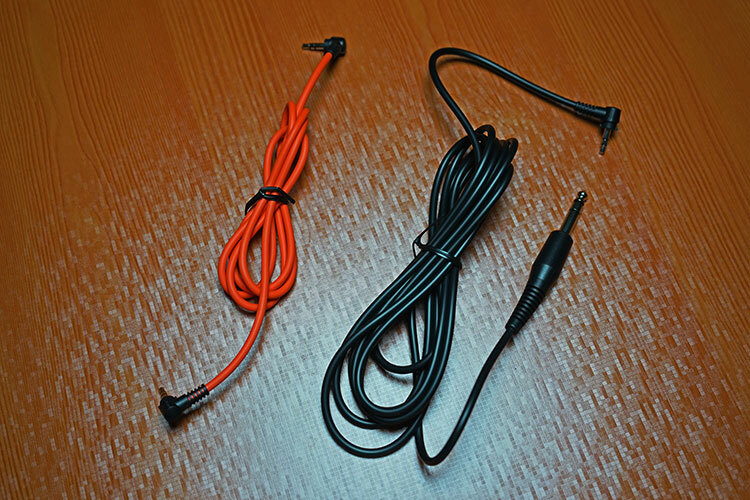 It is probably one of the main reason why the likes of MrSpeakers moved from the generic locking system to the modded Hirose connector system but then again you do pay a lot more for that. Keeping things simple, Cascadia Audio has simply packaged the revised Talos into the original Fostex box with both of the stock cables to boot. They have though included a pretty generous return process for up to 45 days with a 20% restocking fee as well as put their money where their mouth is by offering a fully comprehensive parts and labor warranty for one year. Now this is what I am talking about, a proper V-shape musical presentation with a really tastefully weighted low end and a smooth treble upwards curve that keeps its sparkle without ever sounding peaky and tizzy. Sibilance is avoided in all but the most extreme recordings and whilst the midrange is a little more recessed vocals are accurate and natural sounding. I never once felt I was struggling to make out vocal performances when both ends of the spectrum got busy. It’s a fun presentation for sure and despite that V-shape, it doesn’t come across as dark which sometimes a lot of these tuning can veer towards. There is just the right amount of brilliance in the Talos for me, keeping it clean and clear and counterweights the elevated but slightly warm mid-bass quite nicely. I have to give special mention to the staging of the Talos which has never been a strong point with the T50RP for me and for planars in general. The Talos does a much better job than the stock with far better dynamics and more accurate imaging than I would have expected. It is still on the intimate side of things and it’s not a huge sound stage but what it has it works very well indeed. Cascadia has tuned the Talos with a prominent mid-bass elevation that adds a satisfying sense of weight and punch but resisting the temptation to overcook it so the low end stays coherent without being overly dominant. That elevation does give the bass a little additional warmth and a slightly longer than normal decay so it is not the fastest bass signature you will come across with regard to planars. Despite that, I do enjoy the musicality Cascadia have eeked out of the T50RP Mk3 bass response and its levels of engagement are more satisfying than anything in stock form. Sub-bass presence below 80Hz is slightly diminished in the context of its mid-bass performance but it can still be felt when called upon. 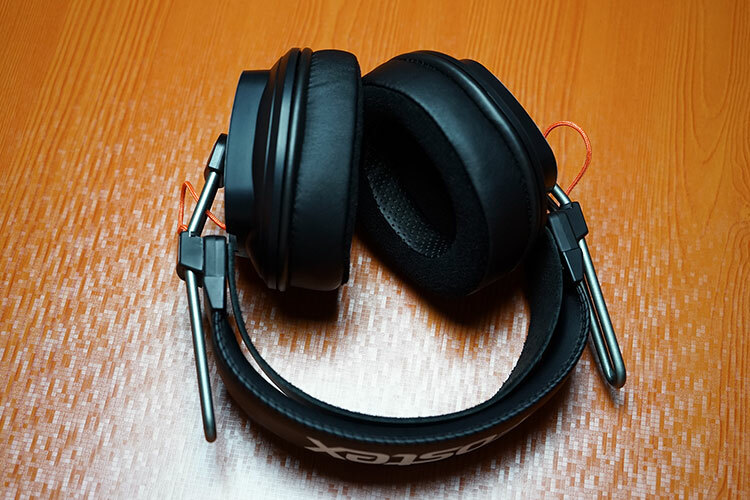 In comparison to say the Alpha Primes, which was another full sounding bass tuned headphone, the bass performance of the Talos is punchier and fuller sounding but slightly less so than the Alpha Dogs heavier low end. Whilst the midrange, as expected, is slightly recessed it does come across as pretty smooth and natural sounding with a really nice timbre. The only picky point I have about it is that it just lacks a tiny bit of bite and clarity, perhaps not as resolving as I would like. That maybe more to do with the limitation of the Fostex planar driver than anything specific Cascadia have done with the T50RP modification. One of the other noticeable traits of the midrange performance of the Talos is the lower midrange emphasis compared to the upper midrange which drops a bit in comparisons. This means despite the very natural and well controlled vocal presence it does sound a fair bit distant to instrumental performances, particularly so with female vocals. This is a really good treble tuning for the T50RP and very well managed by Cascadia Audio. It has a slightly forward low to mid treble presence to it, though it stays just on the right side of brilliance, with some excellent extension and articulation. The treble response on the Talos has very little harshness to it which can often be a trait in T50RP stock as well as some modded units forcing many versions to really dampen down hard. It is the kind of bright treble tuning that really works for me with no significant distracting peaks or ugly unevenness in the lower treble. Sibilance and splashiness are kept well in check which is perfect for long term listening. This treble could not be described as fatiguing. If you have heard the Alpha Dogs you will remember it is the one area of weakness and does sound peakier and harsher in comparison to the Talos.